chic city spotlight has moved north this week. no, i don't mean new york. you guys, i am obsessed with this blog. you will see quickly that ally exudes style. describe vancouver fashion in one word. compare and contrast your fashion experience in canada versus the united states. there are definitely better deals to be had in the united states and also much much more selection, although canada is getting better. where are the best places to shop in vancouver? because i am always looking for unique pieces, i tend to do quite a bit of boutique shopping and gastown is definitely the best place for that! people here LOVE their designer handbag and shoes! 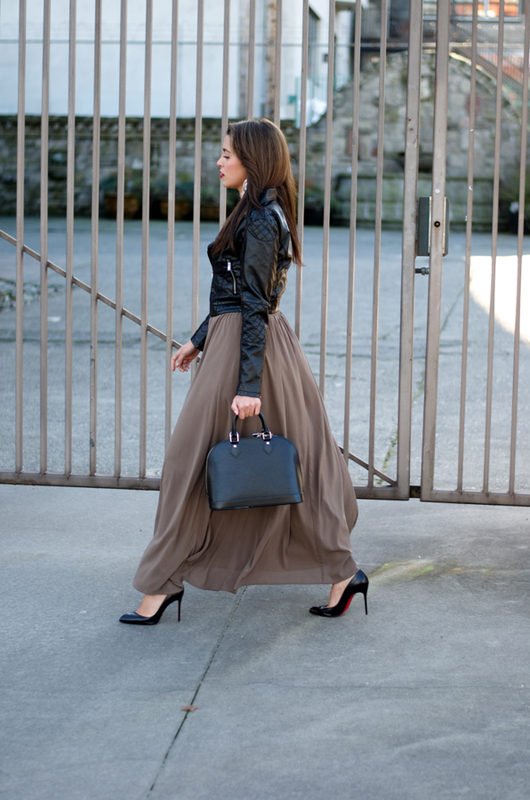 what is a vancouver fashionista wearing on a typical day? i LOVE color and am looking forward to wearing lots of bold colors. sloppiness, i like any look as long as it looks put together. and wearing workout clothes when you are not working out, or on your way to or from the gym! i work in corporate finance, which often doesn’t give you a lot of space for personal wardrobe expression. i really really wanted to explore the world of fashion, which i have always been in love with, but never had the chance to pursue formally. additionally, i wanted to have a channel for creative expression. blogging also gives me a chance and reason to shop almost every day – i’m just doing my research! what makes blogging in vancouver fun or unique? fast-forward 5 years. where do you see yourself? and do you see a place for gumboot glam? i see myself branching into more of a lifestyle blog – which still focuses heavily on fashion. i would really love to work with more bloggers as well as brands. It was so fun to work on this with you Jordan! Wow! Love the looks!! Great photos!! Wow amazing look are realy great. foot Solutions in australia. Excellent yourGumboot related goods foot& Shoes Solution in Festival Boots in australia.